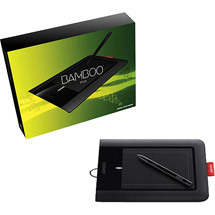 I recently purchased a Wacom Bamboo digital pen and tablet. It’s not supported for Linux. However, with the help of some open source drivers, the pen and tablet will work nicely. It’s not recognized out of the box by Ubuntu. After I connected it to the usb port, I see that the tablet is powered up. The led on the table is on, and lsusb shows the device ID. You’ll have to download the open source driver, compile and install it. Make sure you have the prerequisites. 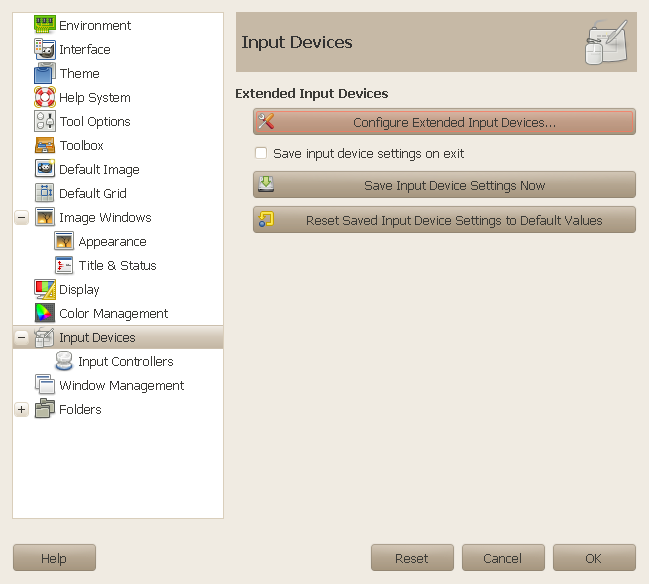 The Wacom tablet should be recognized now when you connect it to the usb port. The pen should now be able to function as a mouse. 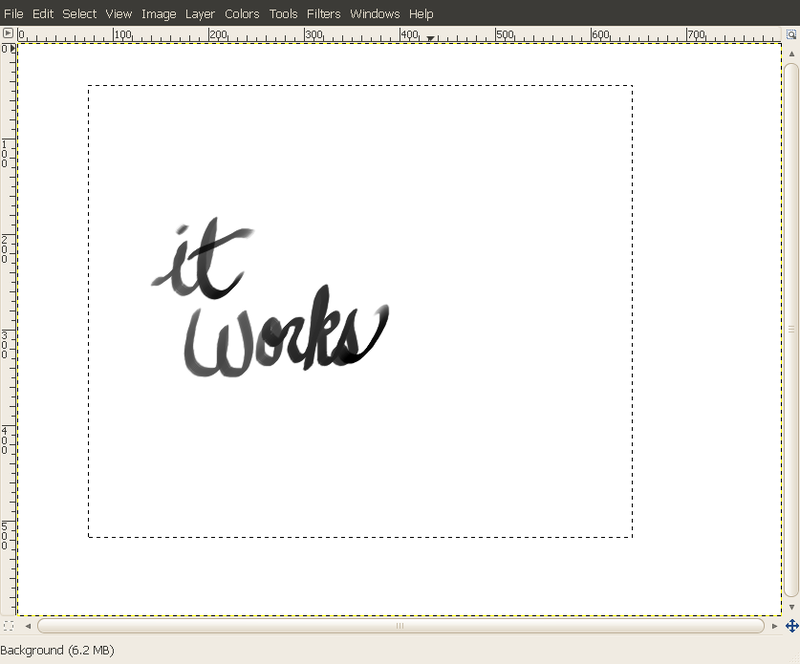 Now let’s get the pressure sensitivity working in an application like Gimp. Start Gimp and go to Edit|Preferences. 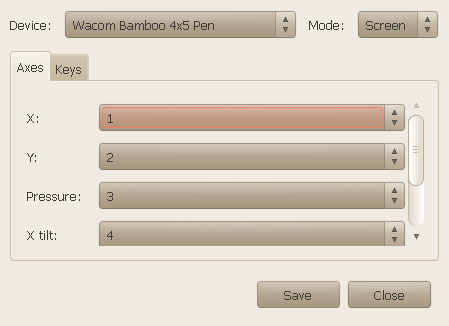 Select Device: Wacom Bamboo Pen 4×5, and Mode: Screen. Save those choices and Close. Now lets do a simple test of the pen tool. Go to the Gimp menu bar, select File|New… Choose a template. I’ll choose 800×600 for this test. Then choose the paintbrush tool from the toolbox. I’ll use a caligraphy brush tip for this. Now write something and use variable amounts of pressure and you should see that “paint” has various levels of darkness depending on the amount of pressure. Sorry, my example is very basic. This should be enough to get you going. Enjoy.